The coming of Comet Elenin into our neighborhood coincides with many prophecies and beliefs of the ancients, in particular the Hopi Prophecy of the Blue Star Kachina and the return of the feathered serpent God of the Maya, Quetzalcoatl, who is believed to return to Earth towards the end of the Mayan Calendar, which happens to be this year on the 28th of October. Here's a brilliant article connecting Comet Elenin, DNA Activation, Earth's Kundalini Rising and the merging of polarities. ELENIN : The Serpent of Light Now Uncoils ! September and October are being heralded as mega-energy months which could very well reveal the “something really BIG entering” that many of us have been deeply sensing. The internet is buzzing with all sorts of speculations on approaching occurrence including a comet-like energy field that teams of researchers seem to agree on something… it IS approaching the Earth. Children of the Sun Foundation is viewing all outplay as a divine opportunity to deepen our union with each other and our celestial body aspects. 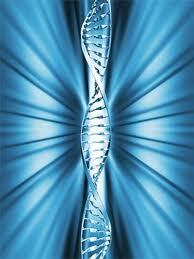 Based upon what we are experiencing within our own bodies, we feel that whatever is approaching is an outer reflection of an immense energy field, already within our own body, as one with our DNA. This expected Comet Elenin is a visitor from the far reaches of our solar system and we, as a planetary species, won’t be seeing it again for a very long time. Let’s open our hearts wide and welcome the blessings that Elenin is purposed to deliver. It does come at an auspicious time of a planetary shift. The Dates of Elenin’s approach are across the board. What is significant is that Elenin is here now. Even if Elenin is an “outer event” does not matter. What matters is that we embrace this comet from the inside as the serpent of light (comet tail) uncoils and our DNA has an opportunity to fire its new strands. It is always about the Divine Plan unfolding. This could be one of our greatest tests of mastery yet, to remain out of fear and see this for what it truly is, an INNER event. After all, we are the pathcutters. It is recommended that everyone do their own research and contemplations concerning the approaching energy. We feel that the following is worthy of consideration. 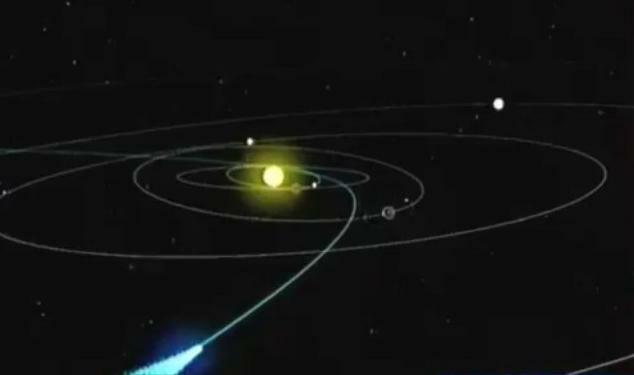 Comet Elenin is now approaching the Earth and will make it's closest passing at the very end of October coinciding with the date researchers have been saying is the more real closure of the Mayan Calendar. According to researchers like Ian Xel Lungold and Dr. Carl Johan Calleman, the true Mayan end date is not December 21, 2012, but October 28, 2011. The researchers claim that the Dreamspell or 13 lunar-month calendar upon which original calculations were based does not take into account the leap day of February 29 introduced into the Gregorian calendar whereas the true Mayan calendar does. Visions from the Children of the Sun Oracles …. We are riding on the Wings of Comet Elenin as the new Strands Fire ! Elenin enters our inner Solar System with wonderment as the sounds of her breath lure open the firmament of Heaven and Earth with vibrations of a mighty purpose. As a glorious celestial body of light, embodying the codes of Christ Consciousness, she comes to bless all who are in resonance with the unified field of Divine Love. The moment has arrived and as one body of light we welcome our celestial visitor with gratefulness and joy as we continue to activate the codes of light to help actualize our new DNA structure. All are invited, and as Children of the Sun we have all focused diligently in preparing the body temple to be receptive to the new codes of light, to be conduits and channels of the expanded field of Unity Consciousness. May our hearts open wide to receive Elenin’s blessings as we honor her light that tones through our hearts the love and wisdom of the “Christos”. Allow her grace to move through you, and as we merge as one, her heavenly body spawns a glorious heat that transcends the void completing the Holiest of Holy’s, “the birth of a New Sun”. The result can be a spontaneous rejuvenation (the rapture) to all that have a receptive kundalini channel and an open pineal gland. We must be willing to accept the changes and enter the state of Grace. With the cosmic waves of Comet Elenin rippling through the planetary field, many are feeling a resonant stirring within… an inner awakening from a long slumber as the Cosmic Serpent that makes it sacred home at the base of our spine responds to the clarion call of the long hailed return of Quetzalcoatl... the Christ Consciousness. This Cosmic Serpent is none other than our Divine Kundalini. This is the coiled energy that rises through our central channel along the spine, destined for the Pineal Gland where it then bursts forth from the crown chakra, culminating in the profound experience of raptured enlightenment. As this potent life force energy makes its way through our Group Avatar Body, we arrive at a long anticipated milestone in the evolution of human consciousness - the birth of our androgynous blueprint.With this fiery serpentine energy flowing freely, we begin to witness our unlimited creative potential and the manifestation of miracles in our service to the Earth. It is with such gratitude that we open our hearts and minds to welcome the unifying cosmic energies from the Great Central Sun emanating from the Comet Elenin. This will continue to greatly support the complete integration of our Yin and Yang, the Shakti and Shiva, the Divine Mother and Divine Father within us all. Before this integration can take place, it is imperative that we recognize the importance of fully embodying the sacred feminine principle of Divine Love through the full activation of our heart chakra. It is only then that we can work in tandem with the masculine force of Divine Will with grace and fluidity. As our old programming of separation is rebooted into one of absolute unity, we will walk this Earth in our glorious Christed Bodies of Light, releasing all sense of differentiation and ushering in a true marriage of equals. To support this integration, we encourage you to call upon the Sacred Fire, particularly the Platinum Ray of Divine Union. This prismatic ray holds the multi-dimensional frequencies required to assist our bodies in transmutation of any residual energies still holding onto to the old dualistic programming. Bathe yourself in this precious light from the Great Central Sun each morning as we allow ourselves to be reborn into our crystalline bodies of Divine Perfection. As our Kundalini rises to become one with our pineal gland, the “eye of our soul”, we may experience a profound sense of Divine Remembrance. Through the merging of the masculine and feminine channels, the circuits surrounding our central column, we will experience the two hemispheres of our brain becoming one WHOLE operating system. The pineal gland is the centre piece around which all of this unification takes place. This is a pine cone shaped endocrine gland that sits between the two hemispheres of the brain, a location which corresponds to what in Taoist practice is known as the "Crystal Palace” due to part of its make up being crystalline. It is the City of Light within giving us access to the holographic universe. Who and What is Quetzalcoatl ? For those of our beloved Global Family who are unfamiliar with the word and energy of Quetzalcoatl, we would like to take a moment to elaborate on this incredible force field awakening within our beings at this time. Throughout history, ancient civilizations such as the Mayans, Aztecs, Egyptians and Sumerians have referred to a "sky-god" who would return from Venus at specific times to again instruct humanity when the hour of liberation was at hand. According to the Mayan calendar, we are NOW in the time of Quetzalcoatl's much anticipated return. That being said, there has been an expanded awareness that has graced our Group Soul, that has allowed us to perceive this "return" not as an individual being or deity but as an expression of our Divine Self. The energy is the same energy held and radiated by Jesus the Christ, Krishna, the Buddha and the other beloved Avatars who selflessly paved the Path to Liberation. Quetzalcoatl was also known as "the Feathered Serpent" which many know as the sacred metaphor representing our human DNA and it's foretold activation and uncoiling. As many wayshowers across the globe begin to sense the rising of our collective kundalini, the spectacular revelation that WE are going to BECOME the living incarnation of Quetzalcoatl will begin to circulate through the unified field. With this powerful presence being born within us, we can share in the cosmic joy of co-creating the most incredible vistas of the New Earth. It is our daily practice of attuning to the Group Soul, building the rhythm of oneness, that will ensure our transformation into the physical expressions of Quetzalcoatl. As a race, we are piggybacking on a planet that is undergoing the very same activation! This provides us with an unprecedented opportunity to share in the divine energy coursing through the living matrix, supporting the unification of our divine masculine and feminine energies as well as the complete hemispheric synchronization of our left and right brains. From this point of sacred merging, we solidify the reality of Quetzalcoatl in our lighted beings and reserve the privilege of ascending with our beloved Earth Mother. Is the Quetzalcoatl Energy Activating with Comet Elenin? We as a Foundation have noticed some rather incredible similarities between the Comet Elenin and the fabled return of Quetzalcoatl. Quetzalcoatl is composed of two words: Quetzal + Coatl. 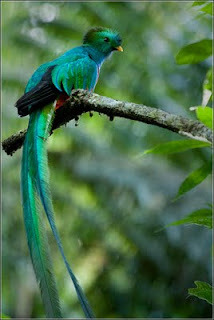 Quetzal refers to feathers and the sacred bird that connects earthly power with the heavenly realms. The stunning Quetzal bird, with comet like tail feathering, resides in Central America and is considered one of the most beautiful birds in the Western Hemisphere. The males have extraordinarily long tail feathers and resplendent coloring unlike any other bird. A bird that flies across the sky with a really long tail is a logical choice if the Mayan and Aztecs intended it to represent a comet. Comets sailing across the night sky often have the appearance of a feather! “Coatl” can be seen as a sacred serpent energy whose movements mirror the way that Kundalini energy moves up the spinal column awakening the wheels of light that surround each of the major body centers. When this serpentine energy reaches the crown chakra at the top of the head, we are one with the Universal. This is a direct representation of our collective kundalini activation! Together the Quetzal and the Coatl are the creatures that are closest to the earth and heaven as well as representing the sacred balance of female and male. Through this stream of thought, we are able to draw some rather convincing parallels that the Comet Elenin is bringing in the activating energy of Quetzalcoatl. This benevolent comet is gracing us with the avatar energy that we require to fully anchor the Christ Consciousness on Earth. Let us continue to keep our hearts and minds open as we remember and reclaim our birthright as fully Christed beings. Crop Circle, July 29, 2011 near Inkpen, Wiltshire. 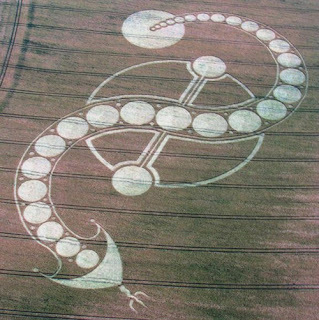 It is interesting that one of the biggest crop circles ever (across 11 tramlines) seen in England looks as if it symbolizes a Cosmic Serpent, DNA Activation and Earth's Kundalini Awakening. Kundalini Awakening : Shiva~Shakti Unite ! The Quickening : A Documentary on 2012 Changes ~ Happening Now ... 2011 !